Engine: T.3-cyl and boiler by Elliott & Garwood Ltd, Beccles. 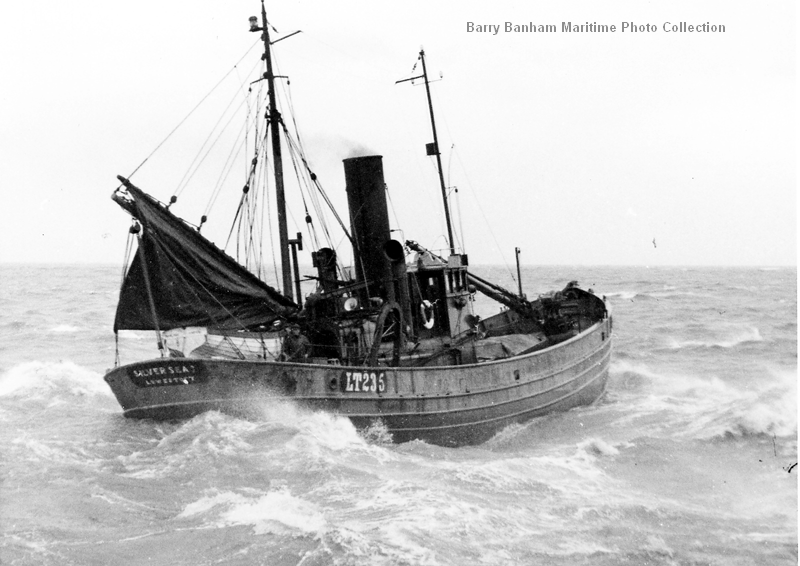 20.12.1930: Launched by Cochrane & Sons Ltd, Selby (Yd.No.1103) for Arthur George Catchpole, Kessingland as SILVER SEAS. 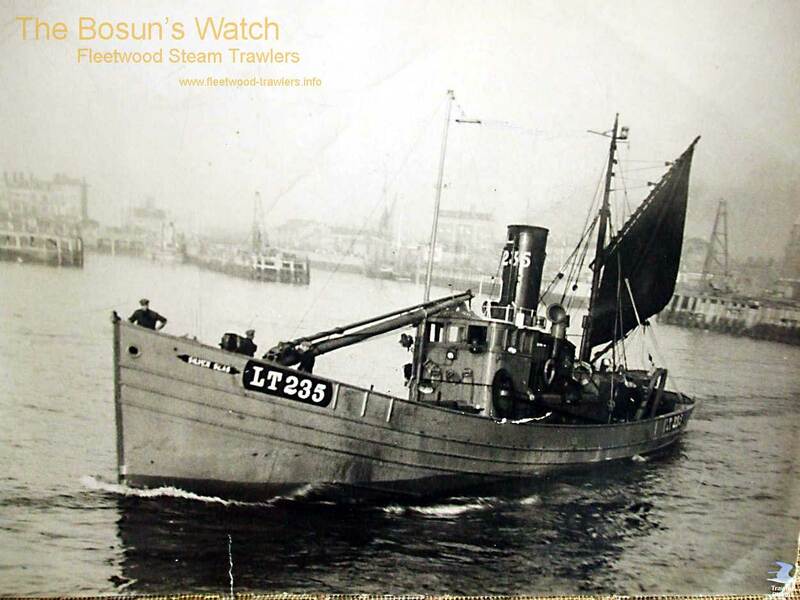 21.3.1931: Registered at Lowestoft (LT235). 8.5.1937: Off Isle of Man, steam drifter ADVISABLE (LT168) stripped propeller. Connected and delivered Fleetwood. 24.5.1939: Arthur G. Catchpole died. 1939: Transferred to George Catchpole, Victor Charles Catchpole, Arthur George Catchpole, Frederick Ernest Catchpole, Lowestoft (in accordance with the Will). 13.11.1939: Requisitioned for war service as a minesweeping drifter (P.No.FY.946) (Hire rate £69.3.6d/month). 5.4.1940: Sold to Silver Fishing Co (Lowestoft) Ltd, Lowestoft (Benjamin Utting, manager) (company owned by the Catchpole family). 5.1944: Employed on miscellaneous Naval duties. 12.2.1960: Sold to Alick King, Lowestoft for conversion to diesel power. 1960: Converted and re-engined by L.B.S. Engineering Co Ltd, Lowestoft with a 4 stroke 3-cyl oil engine 300bhp by A. K. Diesels Ltd, Lowestoft. 1960: Re measured 121g 44n. 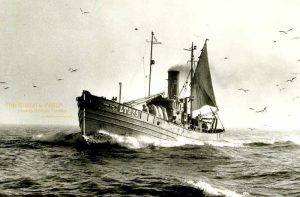 18.2.1960: Sold to George Wood (Aberdeen) Ltd, Aberdeen (William Wood, manager). 11.3.1960: Registered at Aberdeen (A65). 1971: Sold to P. & W. McLellan Ltd, Bo’ness for breaking up. 3.1971: Arrived Bo’ness in tow of NETHERLEY (A723) also for breaking up. Aberdeen registry closed. 22/09/2018: Removed FMHT watermarks from images. 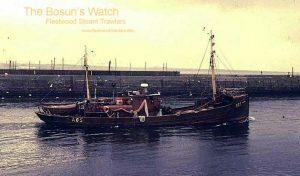 This entry was posted in Drifter/Trawler, Seasonal Visitors, Steam Trawlers, Steamers (Picture) and tagged Drifter/Trawler, No Fleetwood owners, Seasonal on September 4, 2010 by Fred Smith.